This past December, my LA Magazine Digest blog editor Randy Clemens threw down a gauntlet: Come up with 10 classic cocktails that every cocktail noob should know how to make at home and write a post for each one including the cocktail recipe and where to get a great example of one in L.A. So I did. Wasn’t too difficult at first to think up classic favorites like the Manhattan and Martini but there was a little bit of a struggle trying to think of where to go from there. What next? We’re currently smackdab in the middle of the Essential Cocktails series with five down and five more to go. When I was interviewing The Varnish bartender Eric Alperin about the Old Fashioned, he did mention that there are about 13 “parent cocktails” that serve as the baseline for all cocktails, but what are they? I feel like I need another gin cocktail to cover, but is that too many stirred drinks? I want to do the Sazerac next, but now is that too many whiskey drinks? When I posed the question on Twitter of which cocktail should I cover next, some folks suggested the Sidecar. But where in L.A. can you get a good Sidecar? In any case, which classic cocktail recipe do you think people should know about? And who do you think makes the best one in L.A.? For a refresher, here are the ones I already covered on LA Mag’s Digest blog the past five weeks. By the way, I’m glad I got this assignment. Now I know how to make Mai Tais and Margaritas at home! Before it was just stirred cocktails like the Manhattan and Martini. Look at me, I’m growing. 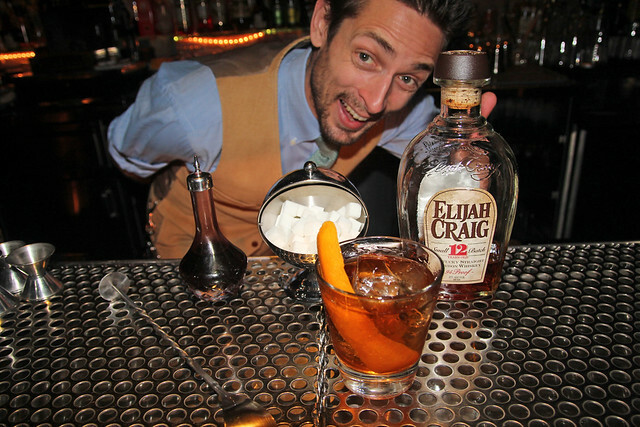 The Varnish’s Eric Alperin and his Old Fashioned. 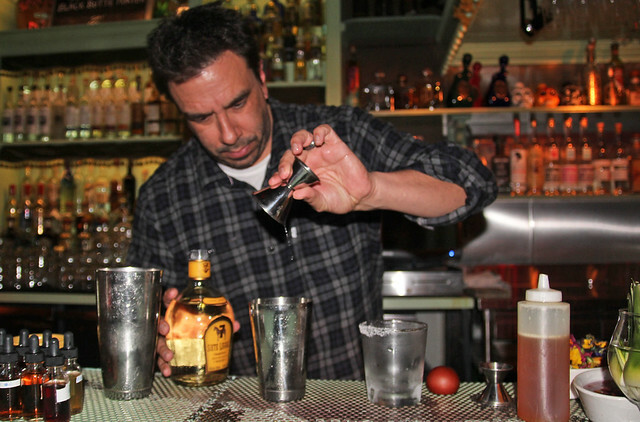 Las Perlas’ Raul Yrastorza and his Margarita. 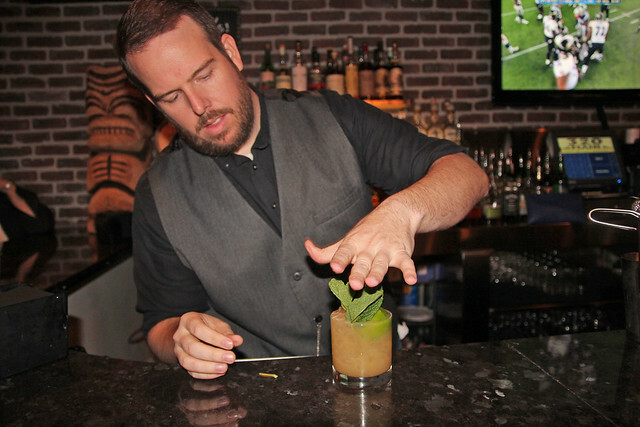 320 Main’s Matt Robold and his Mai Tai. Hinoki & The Bird’s Sam Ross and his Manhattan. 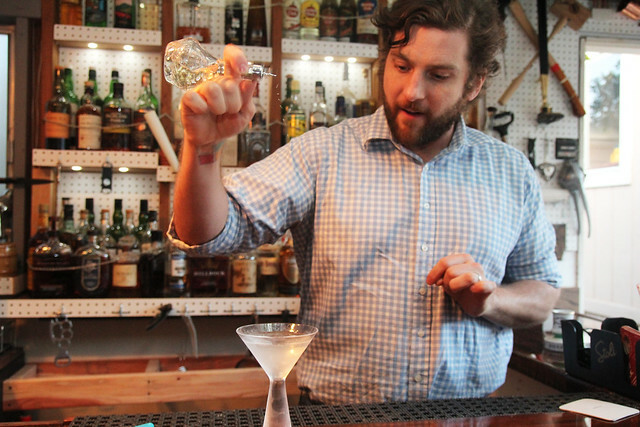 Bartender Joseph Brooke demos Salvatore Calabrese’s Martini.